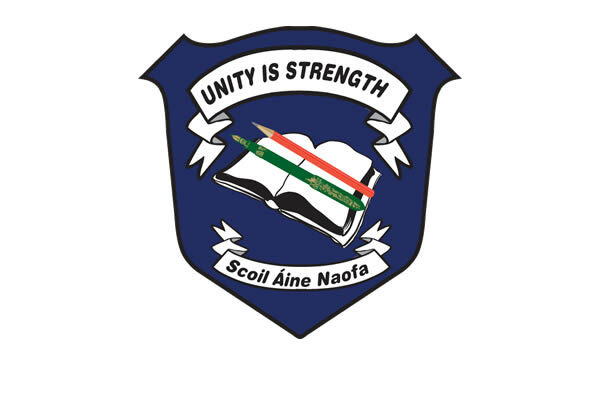 Scoil Áine Naofa is named after and dedicated to the memory of St. Anne, Mary’s mother. We welcome children from all denominations and from every culture and social background. While striving to foster each child’s physical, emotional, social, intellectual and spiritual development we recognise that every child has a right to equal opportunity in education. We have a special concern for children in difficult circumstances and with special needs. We promote self-worth, love of learning, personal responsibility and the belief that we can make our world a better place. As a staff we relate in a Christian way to each other, thus modelling appropriate behaviour to our pupils. Trust, respect and recognition are promoted. In valuing the importance of partnership between staff, pupils, parents, management and the community we strive to be open, welcoming and accepting to all.